A childhood crush who moved away. An adult love that shattered her world. Twenty-seven year old Mackenzie Tillson hasn't been living for quite some time, rather, just existing. Life is passing her by and even with the love of her friends and family she can’t quite seem to snap out of the disconnected bubble she has created around her. Moving day by day as a shell of a person who once knew what it meant to live. Until one day, the boy who first had her heart comes back. With a vengeance...Drew Dean has been apart from the girl he loved all of those years ago for far too long and now that fate has provided them with a second chance, he will make it clear to her that she is, and always has been the one for him. But what Drew discovers in the process, is Mackenzie may just end up being completely unreachable. Is it possible to get through to someone who has no intentions of ever letting anyone in again? Can a person find their way through the darkness and emptiness they've created? 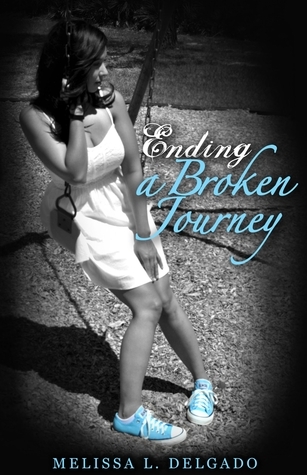 For Mackenzie, trudging along in life alone is where she feels she deserves to be. But will she find it in her to fight and break the barrier of the internal distorted view she has of herself? Or will she let everyone and everything slip away? As Mackenzie tries to piece together the remnants of her shattered existence, she inadvertently discovers life, love and loss are one in the same. A hopeful journey to be taken with an ending to fill the emptiness she's carried for too long. A chance to win one of five ebook copies of “Ending a Broken Journey” by Melissa L. Delgado! Kindle Cracked - Are you a book whore?